Explanation: Next stop: Mars. 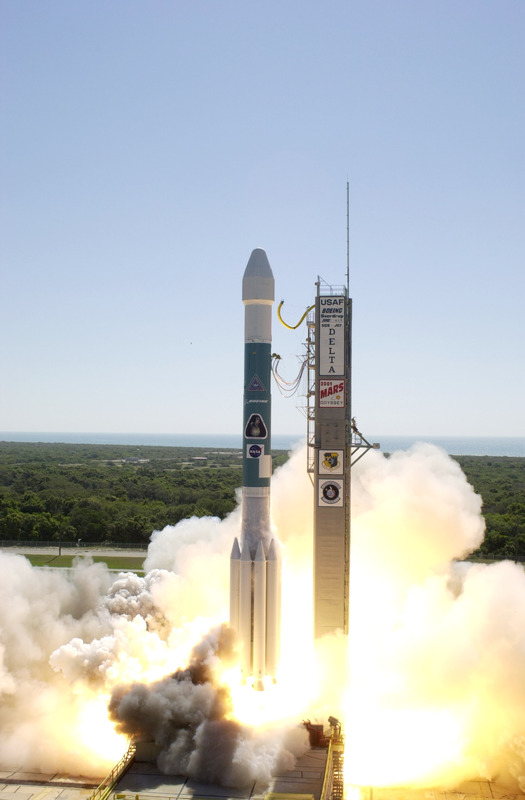 On Saturday the 2001 Mars Odyssey spacecraft lifted off from Cape Canaveral, Florida on a path to enter orbit around Mars in late October. 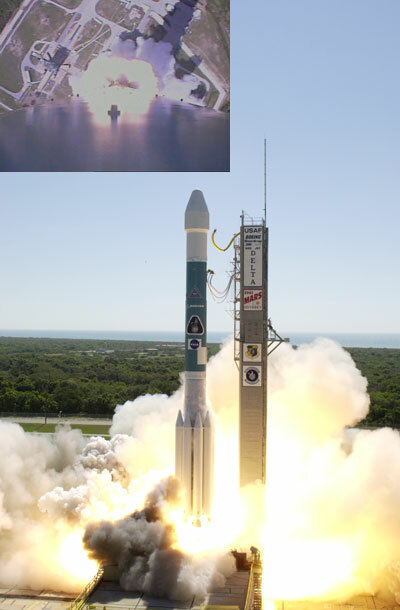 Pictured above, a Delta II rocket lifted the robot spacecraft, located in the nose cone, off the launch pad, while a camera mounted on the side of the rocket took the inset picture. The Odyssey orbiter will map the locations of chemical elements and minerals, look for evidence of water, and measure the Martian radiation environment. These data will help NASA better determine whether life ever arose on Mars, better understand the climate and geology or Mars, and better plan for future human exploration. The spacecraft's name is a tribute to 2001: A Space Odyssey, an epic fictional story of future space exploration written by Arthur C. Clarke.